From the founding of the school, preparing students for a life of service to Christ has been a key component in the school’s inspiration. This is reflected in the name Clapham School. Clapham is today a district of southwest London. In the late 18th and early 19th centuries it served as the location for worship and fellowship for a group of believers who became known as the Clapham Saints. Their devotion to Christ helped change countless lives in London and beyond. Perhaps the most famous member of the Clapham Saints was William Wilberforce. 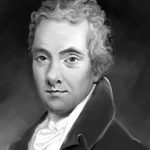 After his conversion, William Wilberforce thought initially that he should retire from public life and parliament. But his friends persuaded him to use his position of influence to serve Christ. He dedicated his parliamentary life to the abolition of slavery, and he and his friends labored over twenty years until the slave trade was abolished. Wilberforce then lobbied another twenty-five years for the emancipation of slaves. Three days before his death, Wilberforce was sent word that the House of Commons had outlawed the institution of slavery. Other members of the Clapham Saints included Hannah More, a well-known writer and social reformer who advocated for the poor and for the education of women. Undaunted by ridicule or opposition, and tireless in their cause for moral reform, this community established numerous Christian societies and published volumes of Christian literature and moral tracts for the improvement of society. For instance, they founded the British and Foreign Bible Society and the Church Missionary Society, and they even led the charge for prison reform. Wilberforce and his friends understood the calling of the Christian to stand for what is right. They believed in the Word of God and lived under the compulsion of its commands. Together they stood against the powerful tide of their culture, serving Jesus Christ, and encouraging one another in the cultivation of all that is good, true and beautiful in the midst of a broken and stained world. The Clapham Saints have inspired not only our name but also our long-range vision. by cultivating His goodness, truth, and beauty in the world.